When a married couple is going through a divorce, a lot of emotions and feelings are flying around. It is one of the most challenging times in anyone’s life and can lead to extended conflict. The mediation process can be a big help. 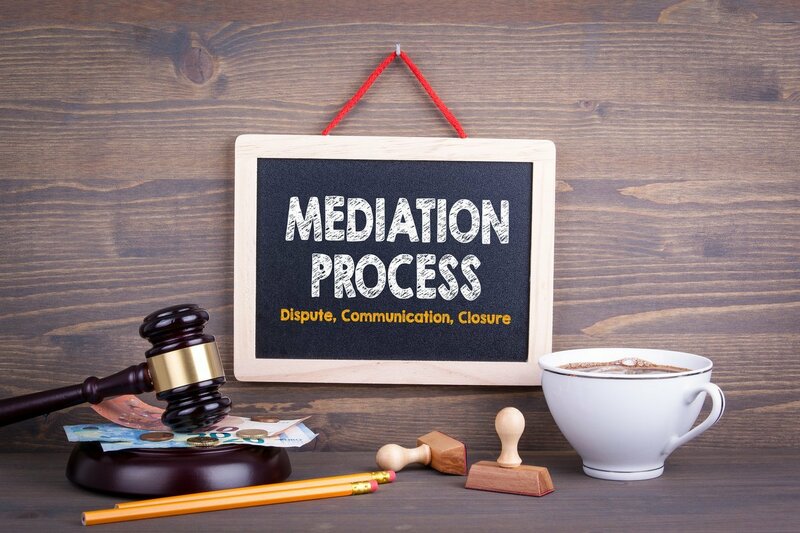 The mediation process in Rhode Island is when a third party helps a couple work out the logistics of their divorce settlement or custody issues out of court. It is an entirely voluntary process for divorces, child custody cases, parenting time, and child placement issues. What Is the Mediation Process in Rhode Island? If you’ve decided that mediation is the best way to handle your divorce, you’ve made a good choice. Intervention can help clear the air and save couples thousands of dollars in legal fees. However, both sides need to be willing to work cooperatively. Here are five facts you should know about the mediation process in RI. 1. What Does a Mediator Do? A mediator is a neutral party. A neutral third party cannot take anyone’s side during a case, and they weren’t on anyone side beforehand. The mediator helps people to cooperate and reach an agreement. There are several things a mediator may do during the mediation process. 2. Who Attends the Mediation Session? Although your lawyer can advise you before the meeting, he or she cannot be present. Only the two people named on the court documents, plus the mediator, may attend. Even though your attorney cannot participate in the session, they are free to advise you before, during, and after any mediation session. Remember, only a lawyer can give you legal advice. It is not the mediator’s job to provide you with legal counsel, in fact, they cannot at any time because they do not represent either party. 3. What Are the Benefits of Mediation? There are many benefits to mediation as opposed to battling it out in court with your soon to be ex-spouse. Mediation reduces conflict between the parents, which is very beneficial to the children. It usually costs much less than court litigation. Mediation encourages cooperation about child-rearing decisions. The two parties involved determine the outcome, not a judge. 4. Where are Mediations Held in Rhode Island? In Rhode Island, where the location of the mediations depends on where you live. Most sessions last around two hours. Providence/Bristol Counties – Scheduled mediation sessions occur in the Mediation Unite of the Family Court. It is Suite 3A on the third floor of the J. Joseph Garrahy Judicial Complex in Providence, RI. If mediation is taking place on the same day as your court hearing, it might be in another room in the courthouse. Kent County – Mediations take place at the Kent County Court House, located at the Noel Judicial Complex, 222 Quaker Lane, Warwick, RI. 4800 Tower Hill Road, Wakefield, RI. Newport County – Mediations take place at Newport County Superior Court at the Murray Judicial Complex, 45 Washington Square in Newport, RI. 5. What Happens After Mediation? After one to three sessions, the mediation is complete. There may be a full agreement, partial agreement, or no agreement at all. If there is no agreement, more mediation sessions may be scheduled. There are two possible outcomes when a couple finishes mediation. You agree and have an attorney. In this case, you reach an agreement and go over it with your lawyer. He or she prepares a “stipulation,” which is a document which writes out all the terms you agreed on. Your attorney files the stipulation with the court. The judge places appropriate legal orders. You agree and do not have an attorney. If you don’t have a lawyer yet, the mediator will help you prepare a “Memorandum of Understanding.” This document outlines everything you agreed on during the mediation session. However, this agreement isn’t binding unless a judge or magistrate approves the document and enters it into court record. A judge or magistrate approve an agreement. Then it is legally binding and must be followed by both parties. If you can’t come to a final decision in a mediation session, it is still helpful because you can narrow down what your issues are. You can also limit the amount of money being spent by trying mediation first. If an agreement isn’t reached, more mediation is scheduled. If couples reach no agreement through mediation, the matter gets scheduled for trial. Always consult your lawyer before negotiation takes place. He or she can advise you on the law and what you need to know to make an informed decision before the mediation process begins. Contact us today to schedule a free consultation.